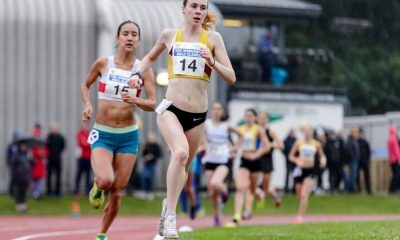 Weightman is four seconds off her 5k best as Traynor clocks a PB, while runners raced in Stamford, Chessington, Wrexham, Stratford, Lossiemouth and Sheffield. Laura Weightman was in the mood for fast running when she posted a superb 15:29 at the Monaco Run Herculis 5k to finish second behind Sifan Hassan’s 14:44 ‘official’ world record on Sunday (February 17). Emelia Gorecka finished sixth in the women’s race in a time of 16:44. 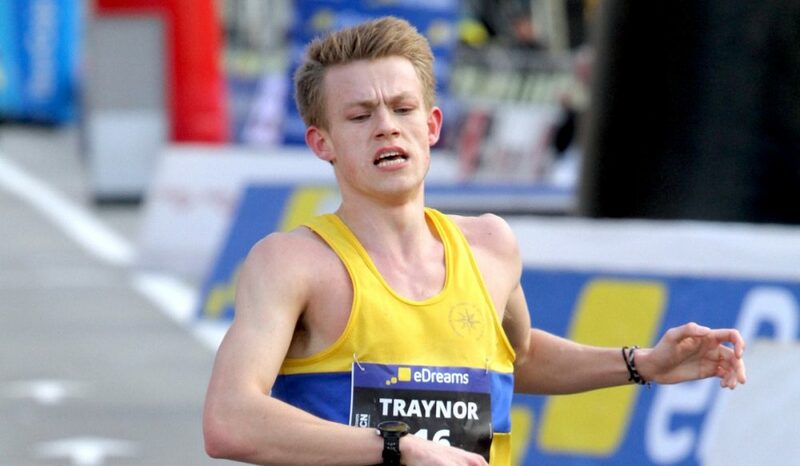 Luke Traynor did fantastically well to run a 14:08 personal best to finish in fifth place in men’s race just days after running at the Armagh 5k. Adam Clarke was just one place behind in 14:11. The race was won in another ‘official’ world record of 13:29 by Julien Wanders. Staying overseas, Victoria Park & Tower Hamlets’ Paul Martelletti ran 2:23:20 to finish 24th at the Seville Marathon on Sunday. In the women’s race, Belgrave’s Samantha Amend was 22nd in a time of 2:52:37. On British shores over the weekend, Laura Muir was in record breaking form when she ran 4:18.75 to break the long-standing British indoor mile record at the Muller Indoor Grand Prix in Birmingham on Saturday. Muir’s time also puts her third on the all-time world rankings. At the same meeting the lucky crowd was also treated to a men’s 1500m world record when Ethiopia’s 19 year-old Samuel Tefera ran an astonishing 3:31.04. A report from Birmingham can be found here. On the UK roads there were a number of Valentines themed road races across the UK, but none tougher than the notoriously hilly and challenging Valentines 30k in Stamford, Lincolnshire on Sunday. In winning form once again was Herne Hill’s Jordan Foster, who annihilated her previous best on this course to take victory in a fast 2:03.38. Not far behind was Lincoln Wellington’s Natalie Burns in 2:04.20 while Sian Evans took third in 2:06.39. BRJ’s David Hudson was convincing in victory of the men’s race in 1:44.36, while Helpston Harriers’ duo Michael Channing and Josh Lunn took second and third and the first Valentines’ prize in 1:46.06 respectively. Another romantically themed race on Sunday was the 26.2 Valentines 10k at Chessington, which saw speedy wins for Australia’s Dylan Evans and Guildford & Godalming’s Susannah Monk. Evans took the title in 30:53 just three seconds ahead of his countryman Matt Crowe, while Cameron Allan was third in 32:27. Monk’s time in victory was 37:07, while the City of Norwich’s Millie Solway was just over a minute behind in 38:19. Kingfisher Tri’s Lisa Rooney took the third podium spot in 38:47. The Wrexham Half Marathon was a competitive affair, with Altrincham & District’s Mo Abu-Rezeq taking the win in a speedy 67:34 on Sunday. Abu-Rezeq was more than a minute ahead of Heanor’s Joe Rainsford’s 68:42, while Trafford AC’s Tom Charles also dipped under 70 minutes with a 69:57 result. The first lady’s prize went to Laura Riches in a sparkling 79:42. The Leigh Harriers athlete, who featured in the Fast 10: class of 2018, was well clear of second-placed Amie Bagnell, who ran 82:17 for Prestatyn. Wrexham’s Emma Crowe kept at least one prize in the home town when she finished third in 83:44. Leamington’s Paul Andrew and Bourton’s Victoria Briggs took the top prizes at the Tempo 10k in Stratford Upon Avon on Sunday. 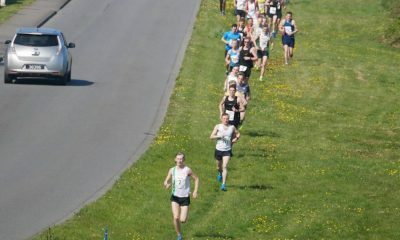 Andrew took victory in 37:03 ahead of Massey Ferguson’s Dean Clarke, who ran 38:02. Spa Striders’ Aitor Tudero was third in 38:09. Briggs was top of the podium in 40:25 while Northbrook’s Natalie White took second place in 43:11. Massey Ferguson won another prize when their own Marie Edmunds was third in 45:43. Fast times were also seen at the Kinloss to Lossiemouth Half Marathon on Sunday with JSK RC’s Tom Roche and Inverness’s Amy Hudson victorious in 72:33 and 84:27 respectively. North Highland Harriers’ Greg Shearer was second across the line in the men’s race in 73:33 while Inverness’s Donnie Macdonald was third in 74:33. JSK RC’s Marie Baxter was second in the women’s event in 84:59, with Fraserburgh’s Lisa Allan also running well to take third in 89:01. The BUCS Indoor Championships took place over the weekend in Sheffield and there were 1500m wins for Sheffield’s Dominic Brown and Birmingham’s Emily Thompson. Brown clocked 3:56.22 to win the men’s title, while Thompson ran a time of 4:25.74 to take gold in the women’s event at the university championships. In the 800m races, Leeds Beckett’s Alex Botterill won men’s gold in 1:52.37, while Birmingham’s Isabelle Boffey won the women’s title in 2:06.26. Over 3000m, James Gormley of Birmingham won the men’s title in 8:09.40 ahead of Leeds Beckett’s Linton Taylor. In the women’s event, Imperial College’s Dani Chattenton won in 9:37.68 ahead of Birmingham’s Kate Seary. 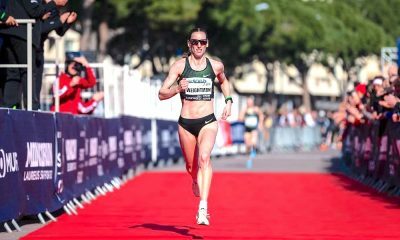 A large contingent of British runners headed to Northern Ireland on Thursday for the fast and furious Armagh International Road Races. 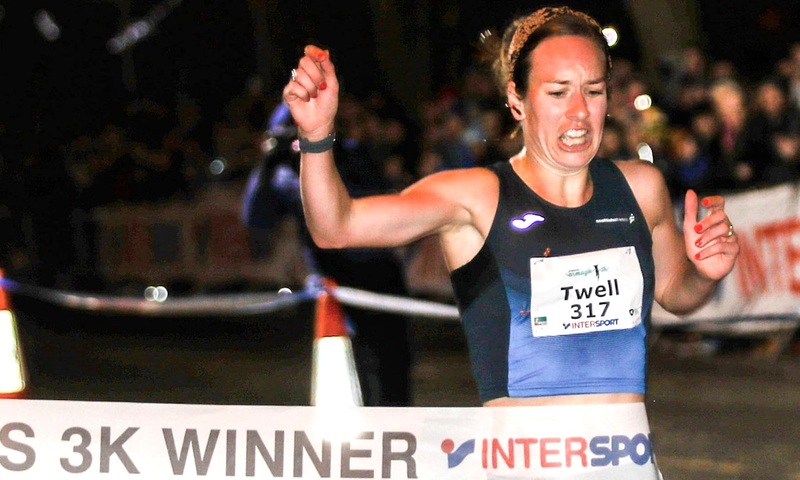 On her first visit to the cathedral city, Steph Twell equalled Laura Weightman’s 3k course record to win in 8:59. In the men’s 5k race, Adam Craig finished second in a time of 13:45 ahead of defending champion Stabler who was also awarded 13:45. Also among the notable performances, 15 year-old Ethan Hussey ran 14:29 to equal the under-17 UK all-time record set by John Nuttall in 1984. 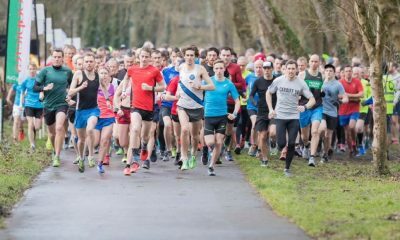 In total, 49 women broke 10 minutes for 3k, 10 men broke the previous course 5k course record of 13:54, 12 men went sub 14 minutes, and an astonishing 113 run inside 15 minutes to smash the previous best in Armagh. Birchfield Harriers’ Hayley Carruthers didn’t quite break the parkrun world record, but she gave it a fantastic go at the Walsall Arboretum event to go top of this weekend’s top 10 in a time of 16:14. Lewes’s Tom Evans was the fastest man across the UK after a quick 14:45 run at the Worthing parkrun.